The Company has summarized its basic perspectives on CSR activities throughout the supply chain in the CSR Procurement Basic Policy of the Nisshinbo Group. In fiscal 2017, the Group set promotion of CSR procurement as a key performance indicator and all Group companies are conducting related initiatives. Based on the CSR Procurement Basic Policy of the Nisshinbo Group, each Group company has formulated its own CSR procurement guidelines, which are more concrete and adjusted to specific business descriptions. After informing suppliers of these guidelines, we conduct supplier surveys. In the future, we will continue to promote CSR procurement initiatives along with our suppliers. New Japan Radio Co., Ltd. and its subsidiaries are constructing a PDCA cycle to promote CSR procurement. 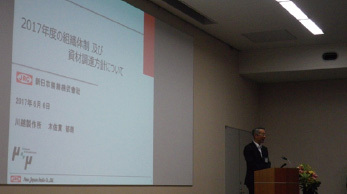 In 2015 New Japan Radio established its New Japan Radio Group Supply Chain CSR Promotion Guidelines (hereinafter “CSR Promotion Guidelines”), explained them through partners meetings and conducted CSR surveys. These surveys are held every other year and in fiscal 2017 we received responses from all 325 of our primary suppliers. We also use these surveys to learn about the activities of new suppliers, after we explain our CSR Promotion Guidelines to them. Moving forward, we will construct a cooperative framework based on mutual trust with our suppliers and intensify our efforts toward a sustainable supply chain. Conflict minerals refer to four minerals (tin, tantalum, tungsten and gold) mined in the Democratic Republic of the Congo and its neighboring countries that are sold to fund armed insurgents. Section 1502 of the Dodd-Frank Wall Street Reform and Consumer Protection Act, which went into effect in January 2013, mandates that companies listed on equity markets in the United States disclose whether conflict minerals are used in their products. 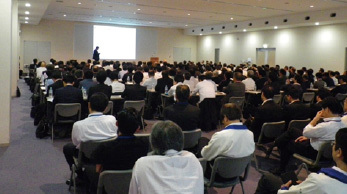 The Nisshinbo Group conducts surveys on the corporate use of conflict minerals in the electronics, automotive parts, chemicals and precision instruments businesses, as a corporation that has a connection to members of the supply chain that are listed on U.S. stock markets, and report this information to our customers. Going forward, we will continue communicating with our suppliers to ensure against complicity in human rights abuses and acts of violence, thereby promoting responsible procurement.